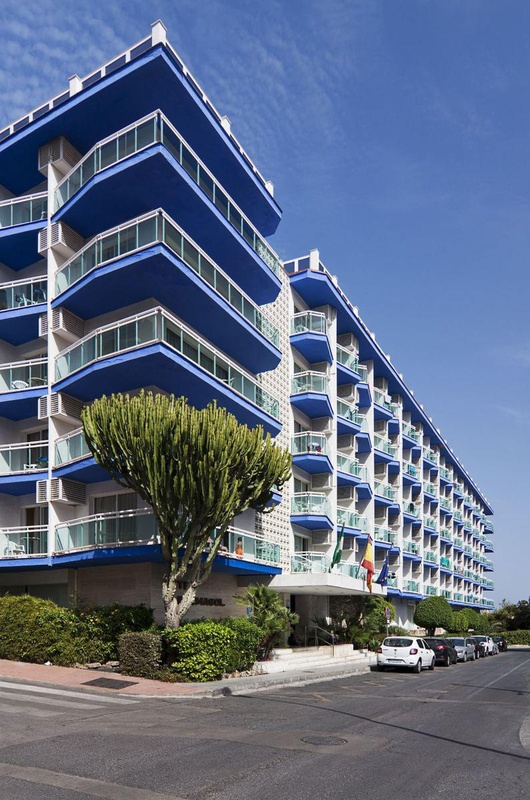 Hotel H10 Palmasol is a charming seaside hotel in Costa del Sol, Málaga . 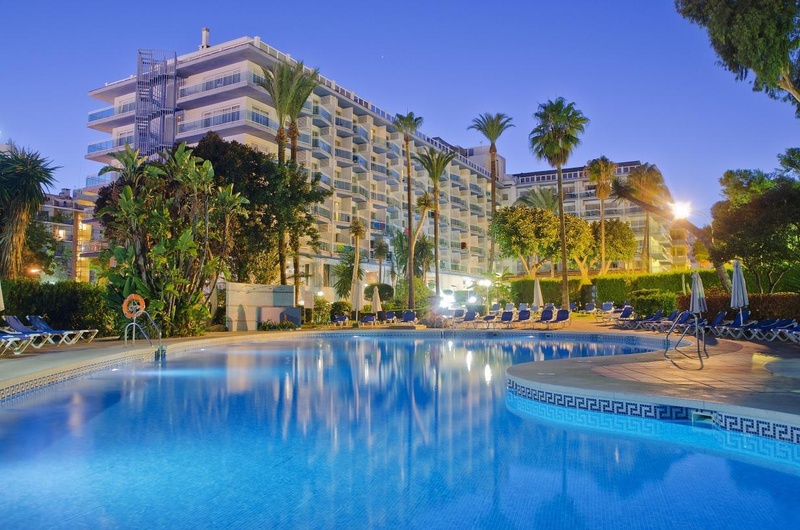 This Benalmádena Costa hotel, surrounded by beautiful lush gardens, lies at just 250 meters from the beach and offers the perfect accommodation for your beach holidays in Andalusia, at only 15 km from Málaga city and 10 km from the Málaga International Airport. H10 Palmasol features a large range of first-class facilities, including a buffet restaurant, La Choza garden bar, a poolbar, and the Comodoro bar, where guests can take a delicious drink enjoying live music. Moreover, the hotel features a charming outdoor pool equipped with deck chairs and beach umbrellas, and an indoor pool, heated during the winter. To make the most of your beach vacation, the hotel offers also a wide choice of leisure possibilities, such as a games room, table tennis, billiards, archery, and an Internet Point. And for an ultimate relax, a sauna, a Jacuzzi, and a fitness room are also available. 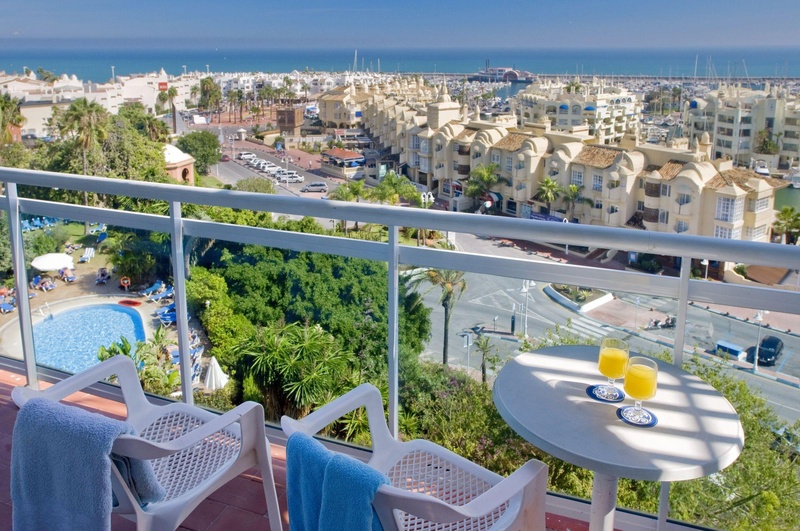 At the H10 Palmasol hotel you will find everything you may need to enjoy an unforgettable stay in Benalmádena Costa. Do not forget to visit the lively Puerto Marina area, located just 200 metres away from the hotel, where a great leisure centre with restaurants, shops, and a full range of activities for all ages is waiting for you. Close to Malaga Airport. Great neighborhood. Amazing location. Fair romantic hotel. Good for sightseeing and has a beach nearby. Lovely choice for breakfast. Good variety at breakfast. Good choice at breakfast. Enjoyable evening entertainment. Amazing animation team. Lovely staff. NEW RESTAURANT. Good food. Don't like fish. High prices. You have to pay for WIFI in the room. Paying for WiFi. Not wheelchair. No facilities. Tiny lifts. There should be computers at the lobby. You have to pay for WIFI in the room. Appalling wifi. They didn't change sheets. Smelly room. Loud music. Rooms old fashioned. Furniture dated.